Lexington, Belmont, and Wayland, three towns with some of the best public high schools in the state of Massachusetts, have unweighted grade systems in place. Sharon High School is currently considering the switch to unweighted grades. 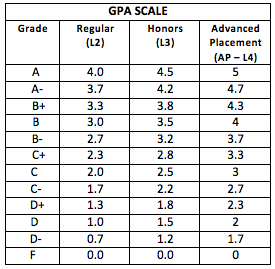 Unweighted grades would mean that any student enrolled in an honors or AP class would receive the same amount of credit as a student taking a standard or foundations class. Student’s GPA would be based solely on the grade they get in each class, rather than the difficulty of each class. Shirley Wiseman, also from the sophomore class recognizes that this may be unfair for people who take more advanced classes. “People working at a honors or advanced placement level work harder and at a faster pace and they should be rewarded for their hard work,” says Wiseman. Ms. Ayotte, a honors english teacher at Sharon High School says that honors classes give students a chance to push themselves. “You are in a sense rewarded for putting in extra work that in most cases is independent work like extra reading or writing,” says Ayotte. “Right now students are clambering for that extra weight attached to an honors class that they overload themselves with such hard classes,” adds Ayotte. Lexington High School has an unweighted grade system and has consistently been rated as the top public school in Massachusetts. However, the stress and academic competition among students at Lexington High may raise some concerns. The Lexington Board of Selectmen found that 55 Lexington High School students had attempted suicide in the previous 12 months and that as many as 287, or 15% of the school’s population, had considered suicide. In a survey conducted for the report, 60% of respondents said they felt “extreme” or “a lot” of stress due to academics. Lily Lawrence, a sophomore at Lexington High School has mixed emotions about having an unweighted GPA. “While I wish a lot of times that I had a weighted GPA because I take some honors courses, I think the overall idea behind unweighted is good,” says Lawrence. Lawrence also adds that unweighted grades allow for stress levels to decrease as well as allow people to not push themselves past their limits. “I think that if we had a weighted average, people would push themselves even beyond what they are now to achieve an even higher standard of success,” says Lawrence. An important aspect to think about when having an unweighted grade system is the way colleges will react if they see a lower grade point average even if a student is enrolled in more difficult classes. “Hopefully, colleges will see past a GPA and really look through the courses we took fairy and judge us the same as all the other schools,” says Lawrence.